Morning Pointe of Calhoun (GA) welcomed back the Dalton State Community College nursing program. 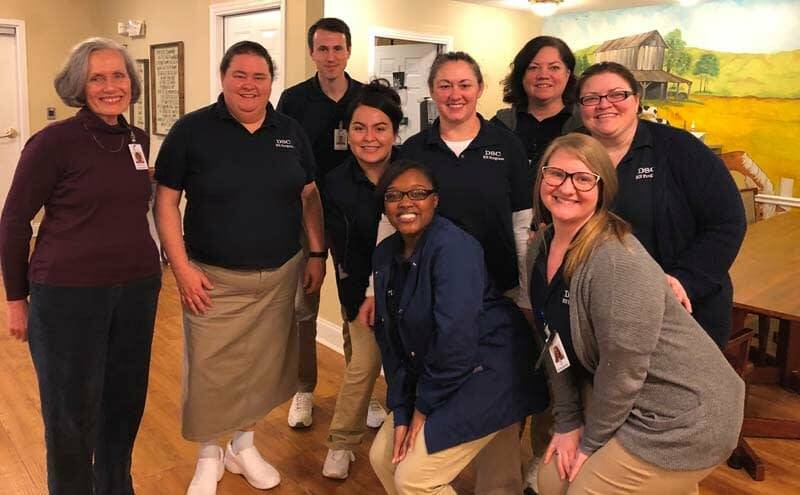 For the fifth year in a row, the nursing students will provide one-on-one care and organize group activities for the residents in Morning Pointe’s The Lantern memory care wing as part of their clinicals. Morning Pointe of Calhoun prides itself on its strong network of community partnerships. If you are interested in partnering with Morning Pointe of Calhoun, contact Community Relations Director Virginia Smith at calhoun-crd@morningpointe.com.